We are excited to announce that the Ashe 68 Virtual Reality film, executive produced by John Legend and Get Lifted Film Co., has been accepted to the 2019 Sundance Film Festival. Viewers are immersed into the intimate moments right before Arthur Ashe’s historic 1968 US Open win and allowed access into the mind of one of the most iconic celebrity athletes of our time. 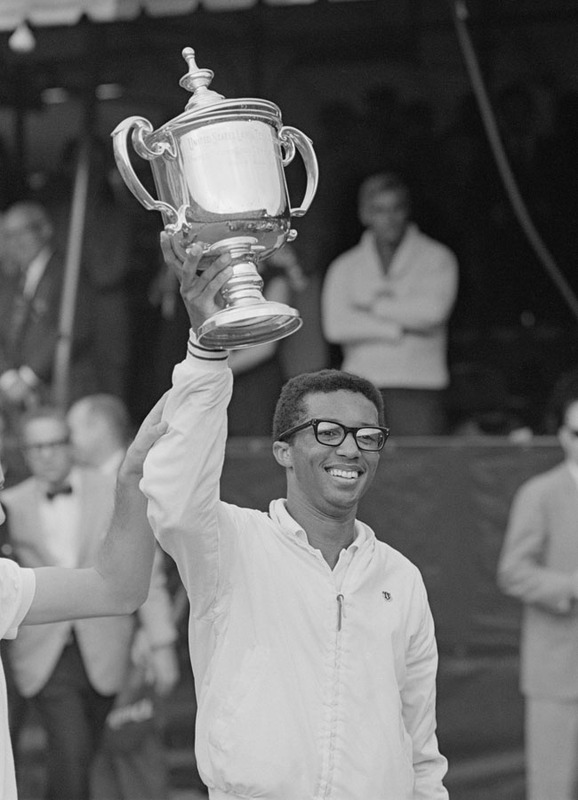 Fifty years ago, amid the turmoil of 1968, there was Arthur Ashe, an athlete who parlayed his fame as the first black man to win the US Open tennis championship into a lifetime devoted to fighting injustice. The virtual reality experience weaves together 360° video re-creations, archival material and evocative, never-before-seen 360° stop-motion sand animation to tell the story. Viewers are immersed into the intimate moments right before Arthur Ashe’s historic 1968 US Open win. It is an emotional and moving experience allowing the viewer to feel what it was like to be Arthur Ashe on that historic day. Virtual Reality Premier at US Open. Documentary in production. Photo courtesy of John G. Zimmerman Archive.